Agatha Christie's fans, that is for you.. The Mousetrap, the legendary whodunnit from Queen of Crime, Dame Agatha Christie, today announces a major national tour opening in January 2019 starring Gwyneth Strong (Only Fools and Horses) as Mrs Boyle, directed by Gareth Armstrong. This unstoppable West End hit has been delighting theatregoers for 67 years with its macabre murder mystery. 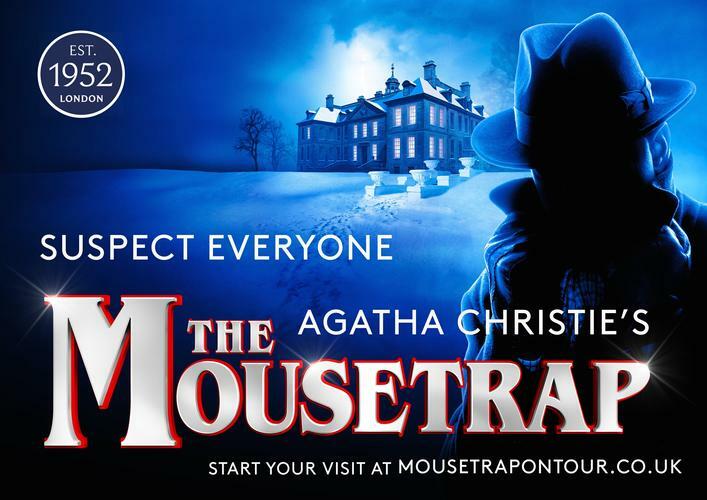 Following a record-breaking 60th anniversary debut tour in 2012, this timeless thriller The Mousetrap returns by popular demand, opening at Guildford’s Yvonne Arnaud Theatre on 29 January 2019 launching an extensive new tour that will travel the length and breadth of the country giving audiences all across the UK the opportunity to discover theatre’s best kept secret.